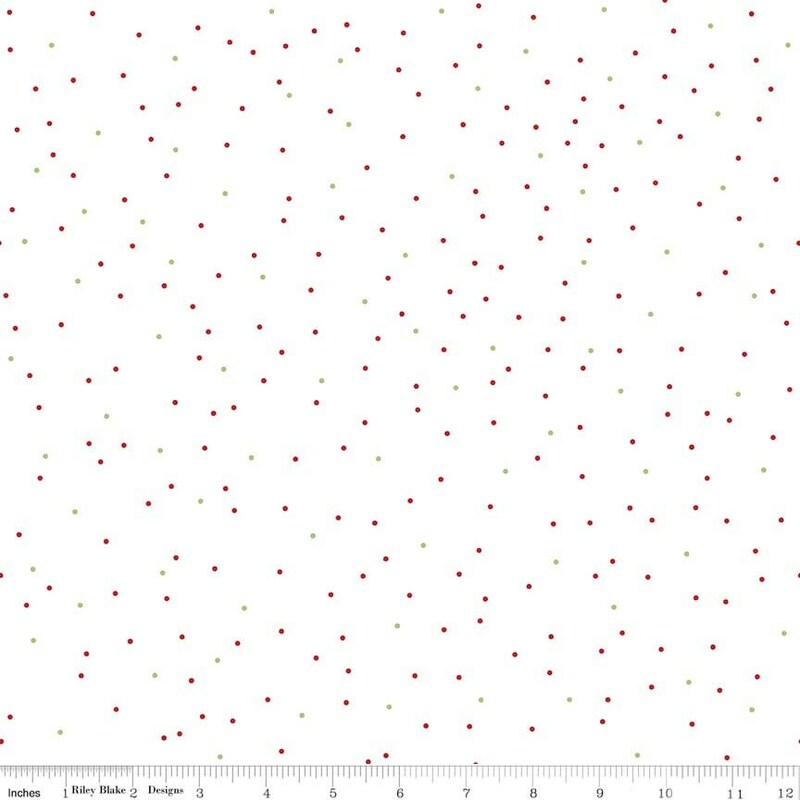 This beautiful fabric has scattered red and green pin dots on a white background. Designed by Lori Holt as a Seasonal Basic for Riley Blake. Fast shipping and packaging. This will make a nice background on my next Christmas quilt. Love this red/green dot basic print. Will want some more of this! Thanks for the fast shipping! Just as described. Prompt shipping!